with all Music Hall turntable purchases! If you're looking to maximize your dollars in assembling a high end system Music Hall components and turntables are the ticket. Music Hall has six new high value MMF turntables: MMF 2.3, MMF 2.3LE, MMF 5.3, MMF 5.3SE, MMF 7.3, MMF 9.3, all with cartridges that are not just add-ons, but offer truly good sound, or you can add your own. The MMF 11.1 is Music Hall's statement 'table, their best ever. Stereophile's Fremmer sez, "...the 11.1 produced an ideal balance of detail, dimensionality and smoothness that kept me up all night...overall sonic picture was free of obvious tonal or transient affects, which made long term listening ultra-pleasant," and in his follow-up, with proper set-up, he states,"the 'table further opened up, producing greater dynamic punch blacker backgrounds and an overall more assertive personality." The c-dac15.3 CD Player/DAC and the a15.3 50 watt Integrated Amp are Music Hall's latest giant killers. 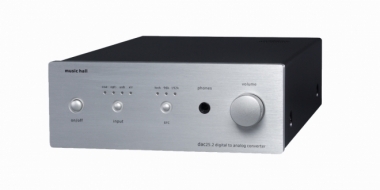 The c-dac15.3 has USB, Coaxial and Toslink Optical digital inputs, as well as digital and analog outputs.The a15.3 has a MM phono and a headphone jack. Both are only $549 retail! Read the rave Stereophile review. "...the Music Halls brought that same music forward and enveloped me in brilliant sound...Music played through the Music Hall a15.3's phono stage sounded superb—quiet, dynamic, and emotionally compelling." 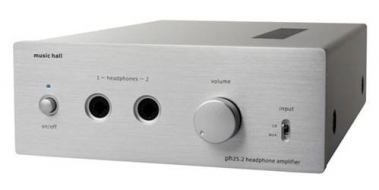 The ph25.2 Tube Hybrid Headphone Amp combines a tube preamp with solid state power output for the best possible headphone listening. Rated Class B $$$ by Stereophile and only $399 retail! 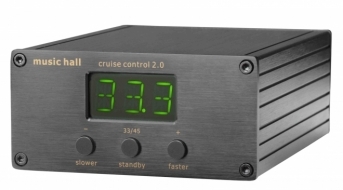 The Cruise Control 2.0 puts the finishing touch on a great analog rig! Only $299 retail. Add the Acri-Plat acrylic platter to the MMF 2.2, MMF 5.1 or MMF 5.1SE and many ProJect 'tables for only $125. On Sale! Finish it off with the Music Hall Mat cork 'table mat for $50. On Sale! Versatility, performance, and value are the hallmarks of the c-dac15.3. By combining a fantastic 3-input dac with a great sounding cd player we've designed a one-box solution that will simplify and dramatically improve your digital music experience. Connect it to a computer, Sonos, Apple TV, Airport Express, any digital streaming device, or simply play a cd and you'll be amazed by the improvement in sound. The c-dac15.3 is easy to operate and partners beautifully with our matching a15.3 integrated amp. w16.9 x d13.2 x h3.1 in. The a15.3 presents a smart alternative to surround sound receivers and all in one systems. It’s the perfect choice for someone looking to assemble their first hi end audio system. Partner it with the matching c-dac15.3 dac cd player and one of our turntables for a great sounding system. Connecting a turntable couldn’t be easier with the built-in moving magnet phono preamp. The amp delivers an impressive 50 watts/channel, which is plenty of power to drive the majority of loudspeakers on the market. 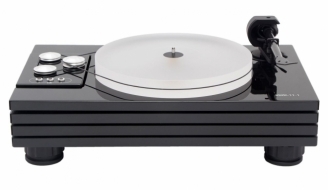 Best entry level High End Turntable package available! Music Hall MMF-5.3SE ’table with Ortofon 2M Bronze cartridge feeding a Creek OBH15mk2 phonostage and Creek Evolution 100A amplifier. $275 retail. Now only $249! For more information on Music Hall components click here.